Tuffy says: Azuls Blue Hancock is Standing at Stud. Robin's Nest would like to welcome "Jake" back home. He has been standing in Arkansas where he sired some of the best looking blue roans in that part of the country! 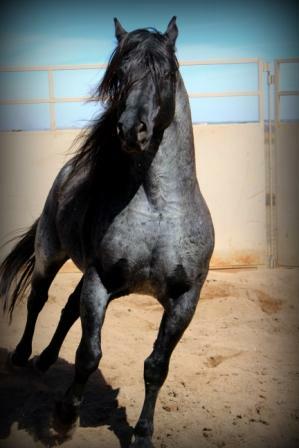 Jake is homozygous roan and black. He is also NN on the 5 panel genetic test. 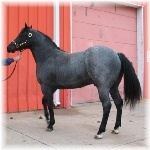 Sired by Azul Caballo Amigojr and out of a blue Leo/Hancock bred mare. Feel free to stop by and check him out for your good mare! ! He is also an eligible sire for breeding with the AMERICAN PAINT HORSE ASSN.